I just figured out how to capture autumn in a jar! It’s actually quite simple. 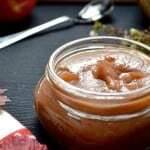 I make this recipe for Easy Homemade Spiced Apple Butter. I am very excited to share it with all of you! But, before I do… I’ll keep you in suspense just a little while longer while I share my definition of apple butter with you. 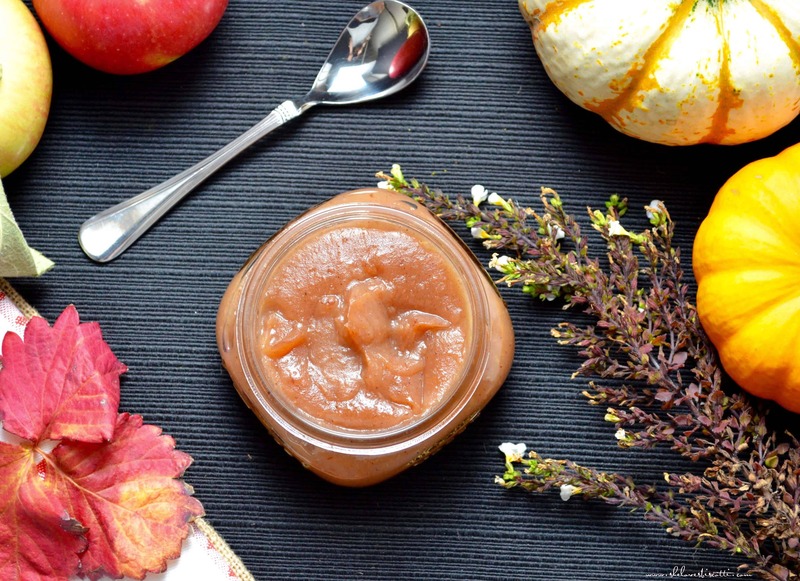 Just in case you are wondering, no, there is no butter in this Easy Homemade Spiced Apple Butter. The word butter is used to describe the thick consistency. Basically, what this is is a highly concentrated form of applesauce. So here is the easiest description of apple butter: overcooked applesauce, irresistible spreadable purée. Notice how the apple butter gets darker in color? What is happening is that the sugars in the apples are caramelizing and turning a deep brown color. The flavor is also intensifying. So now you know what apple butter is. The next question is, what can you use it for? Well, I’m glad you asked! It’s just lovely as a spread on toast, pancakes, waffles… A teaspoonful is great swirled into your oatmeal, cottage cheese, Homemade Ricotta Cheese or yogurt. It can be used as a sandwich spread, especially with cold roast meats. It can also be used as a spread in between cake layers or glazed over chicken or ribs…there are truly endless possibilities. Yes, it’s a Fairmount bagel! 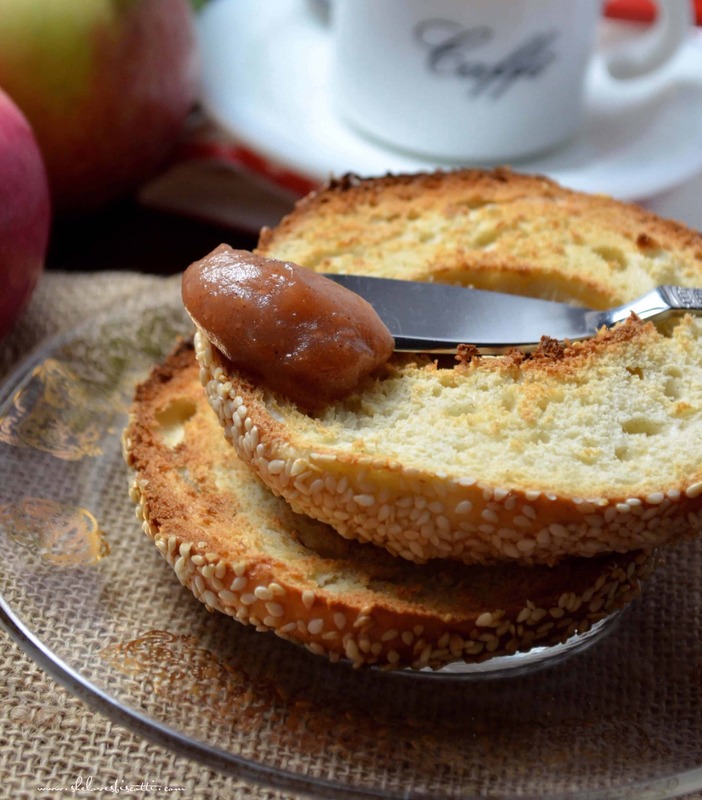 Nutrition Tip: Apple Butter is a great fat-free alternative for butter to spread on your morning bagel (or toast or bran muffin). But go easy… fat-free does not equal calorie-free. Recently, I had a conversation about apple butter with a colleague of mine. His enthusiasm about this apple butter peaked my interest. I was curious enough to try it and I’m glad that I did. I will definitely add this to my list of fall go-to recipes… a list that just seems to be getting longer and longer. The original recipe can be found here. This is a small batch recipe. If you have a slow cooker you can make a big batch of this Easy Homemade Spiced Apple Butter since the recipe can easily be doubled. You need to process it in a water bath so that it can keep for the whole year. I loved experimenting with different types and amounts of spices. I used just a pinch of my homemade Allspice Recipe. In order to achieve the smooth texture, I used my hand held immersion blender. So if you went apple picking and you picked more apples than you know what to do with, why not make this Easy Homemade Spiced Apple Butter? It’s a little taste of autumn that will keep well into the year! 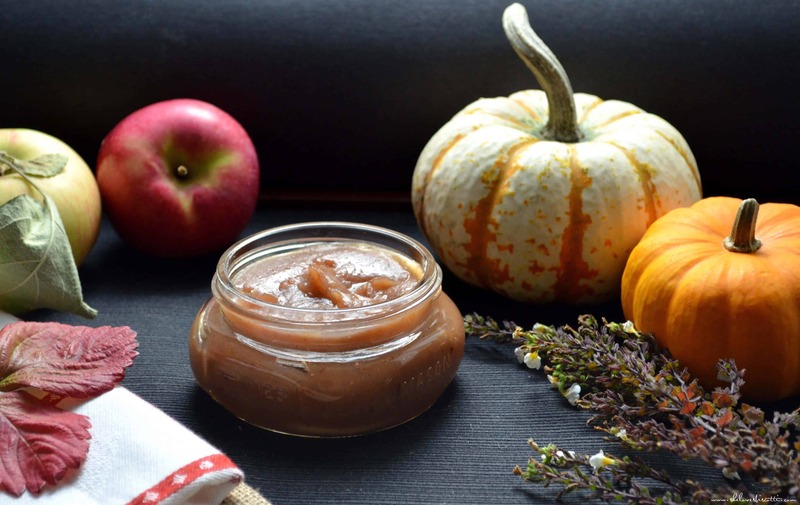 So if you went apple picking and you picked more apples than you know what to do with, why not make this Easy Homemade Spiced Apple Butter? Place all of the ingredients in a medium sized saucepan. Reduce to lowest setting and cook until apples are soft, about 20 minutes. Remove from heat and with an immersion blender, purée until smooth. Continue to cook, uncovered, on the lowest setting. At this stage, make sure you stir every couple of minutes to prevent the apple butter from forming a crust at the bottom of the pot. Cook until thickened. This can take anywhere from 1-2 hours, depending on the original water content of your apples. A good test is when the apple butter no longer runs off the spoon. Portion into jars and refrigerate. 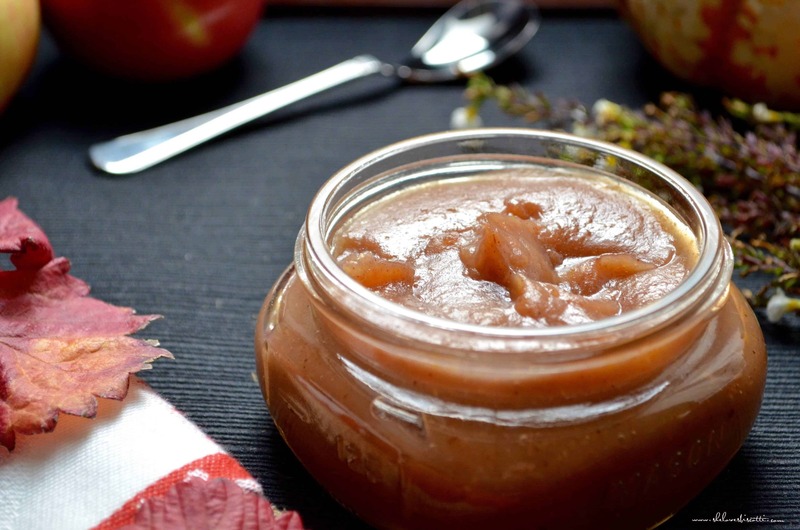 This apple butter can be kept refrigerated 2-3 weeks. 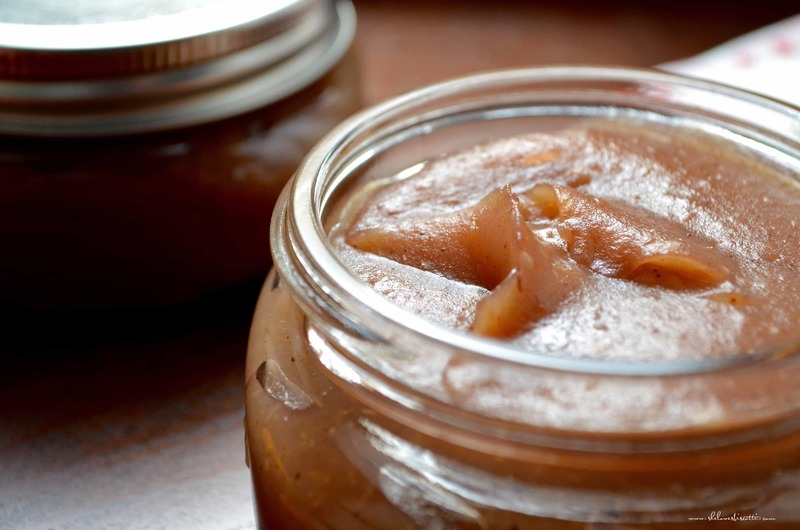 If you process the jars in a water bath, your apple butter will keep for at least one year. 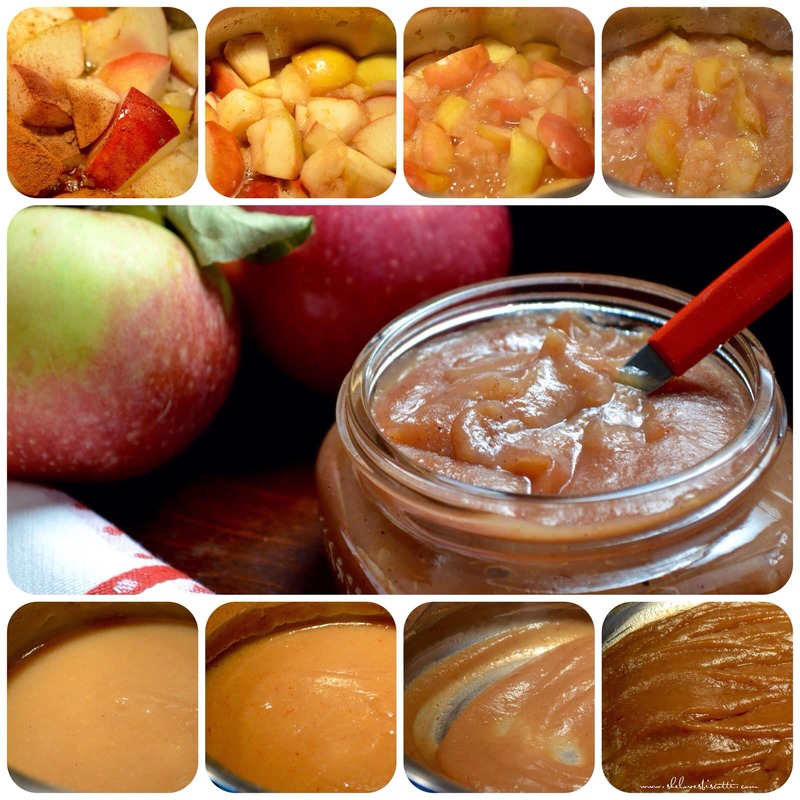 Slow cooker: Once you get to the step where the apples are pureed, transfer the mixture in a slow cooker, cover, set the heat on low, and cook for approximately 6 hours. Pour into jars and process in a water bath. You say it takes 1 to 2 hours to cook and you have to stir it every couple of minutes so it won’t crust on bottom of pan ?